Rivers and streams are prone to blocking up through natural processes and unfortunately, fly tipping and littering. Water ways can often be choked up with trees, branches, brash and other dumped litter including, unfortunately, trollies, traffic cones, sofas, and other detritus. These obstacles quickly become choke points causing flooding, erosion and sometimes even altering the water course. Aside from the damage caused by flooding and erosion, the blocking of streams and rivers with litter and fly tipped waste is unsightly and often encourages further waste to be dumped. 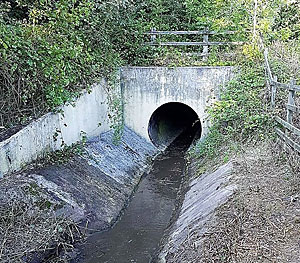 The clearing of blockages and obstructions on rivers, culverts, gullies and ditches is essential to ensure that the risk of flooding is reduced as much as possible to prevent flooding. We are fully equipped to remove blockages and dispose of the waste with a full audit trail. Last year we cleared dozens of miles of rivers and streams on behalf of councils, commercial and private landowners to ensure that water could flow freely, and that litter was removed, making the area more pleasant for everyone. River clearance is difficult work and amongst the detritus we often find unpleasant items. Our operatives are well trained to ensure that the waste is handled carefully and without risk. We are well equipped to move most types of waste although there are some exceptions to this. 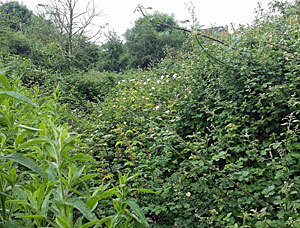 If you have a watercourse that needs clearing please contact us for further information. If possible, please send us some pictures of the area to be cleared. We will often need to visit the watercourse to determine the scope of the work and the waste handling requirements. Aquaserve Maintenance Limited. Copyright © 2017.